Axioms for structures with one binary operation? In my (limited) experience of algebra, I have only seen a handful of axioms used. 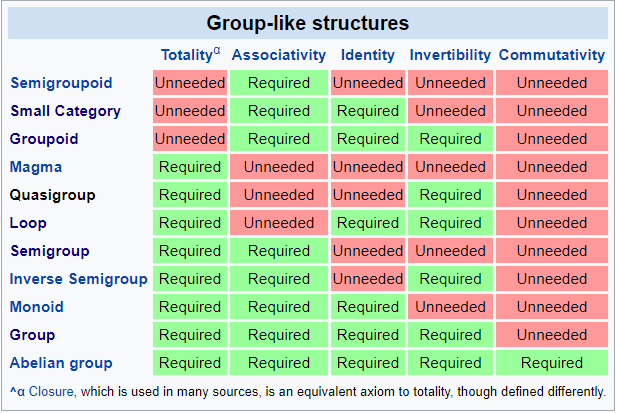 The wikipedia page on outline of algebraic structures lists a table of the following axioms for structures with one binary operation. The only axiom that I can think of that's missing is idempotency. I personally find it surprising if there are so few natural axioms for binary operators (6 basically). Are there other axioms on binary operators that are used? Perhaps in much more niche contexts? I would be interested to see a larger list of axioms and to know in what contexts they would be used. Well, the lattice as algebraic structure is based on the axioms of associativity, commutativity, and the absorption laws. Idempotency is then a derived law. Not the answer you're looking for? 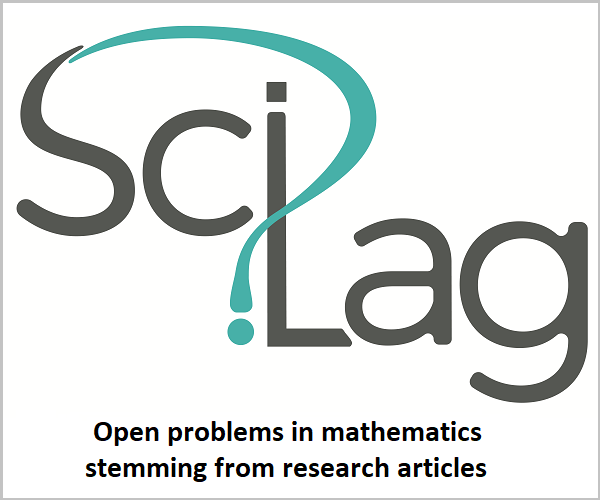 Browse other questions tagged abstract-algebra axioms or ask your own question. How do I complete this “Cayley table” or binary operation table? Is the closure axiom necessary for algebraic structures defined via a binary operation? Does a set $G$ need to be closed under a binary operation $\star$ for $(G, \star)$ to be a group? Can I always generalize a binary operation to an operation of arbitrary arity with nice properties? When to write something in terms of axioms?